Andrew Dennison, COO of LIFT Technologies, recounts his journey into the drone industry. 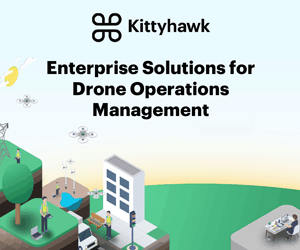 Ian and Andrew cover topics from real-world construction and insurance case studies, the drone deliverables that enterprise clients expect, not flying drones during wildfires, and building out a national drone operator network. 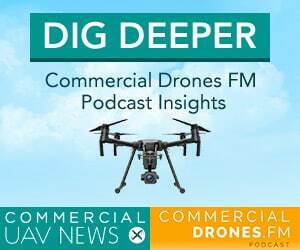 [00:00:03][Introduction]: Welcome to Commercial Drones.FM, the podcast that explores the commercial drone industry. The people who power it and the concepts that drive it. I’m your host Ian Smith. [00:00:15] IAN SMITH: Welcome to the show ladies and gentlemen, Ian here and this evening we’ve got a cool guest. This guy is in a word fun. That’s what I describe him. So whether with your or whether you’re with him in the boardroom sipping on sparkling water or on a dance floor in New Orleans sipping on a sazerack he’s just literally a quite a ton of fun. His name is Andrew Dennison. He’s a graduate of the University of Michigan. Previously Director of Business Development at Skyspecs and is now COO at lift technologies. He’s based in Chicago, Illinois. Thank you so much for joining us this evening in San Francisco Andrew. [00:00:57] ANDREW DENNISON: It is my pleasure Ian thanks for having me. [00:00:59] IAN: I wouldn’t have it any other way. So a little bit of background Andrew and I had quite a fun epic night in New Orleans at the AVIS show. [00:01:10] IAN: Yeah so hopefully we’ll have many more of those. But that’s why you know Andrew is just a super fun guy so always a pleasure to have you over here so. First of all what does Lift Technologies. [00:01:23] ANDREW: Lift is a drone operator network. We specialized in flying for big companies nationwide and specifically 24 hour turnaround for big companies. [00:01:35] IAN: Cool cool. So a 24 hour turnaround like from whenever they say hey we need this this job done you guys go ahead and get out there and get it to him. [00:01:44] ANDREW: Absolutely. News is one of our big clients and they need news happens fast and it goes away fast too. So you’ve got to be ready. [00:01:51] IAN: Absolutely cool. And so you guys are headquartered in Chicago Illinois but you do business all over the place. [00:01:56] ANDREW: Correct. OK cool. So Clayco you know they’re involved in lift. Can you explain the involvement and maybe like who is Clayco for some people who don’t know. [00:02:05] ANDREW: So Clayco is a almost two billion dollar construction company headquartered in Chicago and they had been researching drone technology internally for about a year. And then realized wow this is much bigger than just our company this is something that could impact the country and decided to take that internal research and build on it by starting their own drone service business. They brought me in I was running my own company out of my garage to sort of get this thing off the ground and should I hate using that word. [00:02:42] IAN: Pagues the industry. [00:02:44] ANDREW: It does, Clayco is our main investor. Also our first testbed client and they’ve really helped us understand how large companies are looking at drones from an operatorational perspective and also from a risk perspective and specifically around compliance have really helped us sort of beef up our operations. [00:03:06] IAN: Gotcha. So Clayco, huge construction company one of the largest in the United States. [00:03:12] ANDREW: I think their top 20. [00:03:13] IAN: Okay cool. Very very nice. So they are quite involved with Lift and you guys as I understand are going to be also expanding your operator network if you want to talk a little bit about that. We are always looking for more operators right because we have these calls that come in and they need to get done quickly. And you know when we had a call recently it was five hours north of Edmonton, Canada it’s hard to find people quickly up there.OK. Trust me because we found someone who was great. [00:03:43] But yes we are we we need operators specifically right now. We’re looking for two operators about 50 miles south of Atlanta for a couple of jobs that we just got. OK so if you live there please call me. OK.
[00:03:56] IAN: Hopefully this airs in enough time just don’t have those jobs. So a feeling is that this is going to last a couple of weeks from the recording now but ok cool so operator network if you guys are you know certified drone pilots and you can do commercial operations then Andrew would be interested in talking to you and hopefully it’s a win win for everybody everybody gets some work. Client gets the job done. Boom. What kind of jobs are we talking here? [00:04:24] SEBASTIAN: Lift specialize, obviously construction is our first set. And we do weekly flights daily, whatever the construction site wants. We also work with broadcasters and fly for them and cook up to the broadcast truck we’ve done live shots on some big news channels. We’re doing real estate videos. So we produce great looking. You know hey check out my new building I want to sell stuff. Gotcha. And the last area the fourth is insurance. We’re helping them with catastrophe response and also with roof inspections for claims processing. [00:04:59] IAN: Ok cool cool. So what’s your background Andrew? I mean you know you went to the University of Michigan, you hail from Detroit Michigan. [00:05:11] IAN: How did you get to where you are at today. I mean you know why are you in the drone industry? [00:05:15] ANDREW: Great question. Well I ran a painting business in college. [00:05:19] IAN: Painting, like paint. [00:05:21] ANDREW: Like painting. Complicated right? But it was nationwide with 300 painters painting every day all summer. And when I decided to leave the painting business I wanted to do something that would be similar and drones is going to be similar. [00:05:38] ANDREW: Painting house. Yes. And I had 300 painters painting every day I wanted to be part of a technology that was going to be nationally scaled similar to what I was familiar with in the painting industry right. 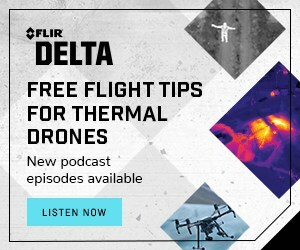 So there’s going to be thousands of drones flying everyday I think anyone listening to this podcast probably believes that and every drone is going to have an operator and those operators are going to be nationwide. So the service business aspect to the drone industry was similar to what I had learned already.And on top of that I mean it’s new technology it’s really cool there’s I hooked up with Sky specs in Ann Arbor. They were where I went to school. It all just kind of felt right and now couple of years later now I’m here we are. Thanks for having me on your podcast. [00:06:23] IAN: Of course. Funny how things work out like that. Do you think there’s going to be painting drones in the near future? [00:06:32] ANDREW: Someone called me a couple days ago for a graffiti cover up drone. Yeah it was like it’s not really we’re working on that. OK that’ll be a little bit longer. But yeah hopefully. Let’s see if you can hook up a spray tube to the drone and you know maybe map a wall. It’s not that hard. [00:06:49] IAN: just set up a little you know pattern in the x,y,z space and get proper coverage and it’s just like making drone maps except applying paint to the side of a building. Gool. [00:06:59] ANDREW: Revolution has a whole new industry. [00:07:01] IAN: I think there’s drones that already do some artwork and things like that maybe there’s like AI drone painting maybe I’m thinking of an elephant that did, Ok cool. [00:07:11] ANDREW: So I know the Disney Imagineering guys are doing like the 100 drone art show for Disneyland. [00:07:16] IAN: Perfect so there is art in the done industry. [00:07:18] ANDREW There is, yes there is. [00:07:19] IAN: And we could be covering up great art as well. Graffiti well, we like street art here. Ok cool so a drone pilot- let’s switch Let’s pivot a little bit here over to some recent news. A drone pilot was just arrested in Sacramento for flying his drone near a wildfire. Now this is like I think the first instance where somebody was actually arrested for doing this. His name and because we are going to publicly shame him of course is Eric Wamser. [00:07:52] He’s 57 according to the U.S. Forest Service firefighting aircraft in the United States have had to be grounded six times due to hobby drones interfering with their operations in 2016. Is Eric Wamser or getting arrested for doing this. A good thing or a bad a great thing? [00:08:11] ANDREW: I think it’s a fantastic thing and I hope that other people understand from Eric’s arrest that this is dangerous right now. Manned aircraft are the most dangerous operations or catastrophe rescue operations and messing up the airspace. These guys have been communicating in that airspace for decades and there is a process in place right now we all know drones can help the recovery effort. [00:08:37] But they’re going to make it more dangerous and hurt it if it’s done irresponsibly. So I am glad that Eric got arrested. Please do not fly. Eric I hope you’re a good person and I hope it all works out for you. But that was very irresponsible. Very dangerous. [00:08:53] IAN: Yeah fortunately it was just a misdemeanor and you know nobody got hurt. So yes always a good thing. But you know one of the quotes from one of the firefighters or one of the guys during the operation was like you know every minute he was in the air was a minute that we had to spend and not fighting that fire because they have to ground the aircraft in the vicinity in order to to continue fighting the fire. You know once once he’s finally out of the area. So Eric mamzer you have been publicly shamed announced. We’re very disappointed in you but we think you can do better in the future. [00:09:51] IAN: Yes. Anyone from you know commercial drone operators hobbyists whatever. I was actually in L.A. this just this past weekend in L.A. and I was just you know kind of at the beach you saw the. Of course saw the phantom 4 or 3, whatever it was just hovering around. Heard the familiar sound and you know if you’re in L.A. or even know a lot of beaches actually like there are super low flying aircraft. I was actually pretty surprised because when I was flying helicopters super super low like you know 100 200 feet above the beach there was really nothing to worry about except like a kite. [00:10:25] And I was just like oh my god like there was just hauling. But across the horizon it was just like police helicopters and things so it’s not just wildfires of course but I’m actually kind of surprised that these police helicopter people and just civilian folks are still flying solo over the beach. [00:10:43] ANDREW: My analogy that I like to give is imagine if there was a new car technology that didn’t follow the red lights and the green lights and the stop signs and the ambulances and all that stuff right. That’s what we have. It’s it’s helping us it’s making us safer. But you’ve got to follow the rules of the road. Yes. And the rules of the air are the same rules right people or stop signs there’s on ramps and off ramp there’s all sorts of stuff. We’ve got to follow the same rules. [00:11:09] IAN: Shout out to the FAA is no. B4UFLY that’s very hip and you can download that app and check it out. There’s also some other you know built in safety measures. But anyways we digress. Eric Wamser, adios. [00:11:27] Let’s talk a little bit about actual use cases so you guys are experts in using drones in commercial settings. You’ve been at it for quite some time. Maybe you can give me some examples starting off with just the construction industry are construction companies you know similar to Klecko like large or small. How are they using drones right now? [00:11:49] SEBASTIAN: Everyone I would agree by the way lift I think one of our sort of advantages or benefits as we’ve done so many different flights for so many different industries. The operational know how is there. Right. But specifically around construction. Every company is still in the figure it out face. So let’s that no one has got this as a you know this is exactly how it works right. Yeah I would say generally the first thing that construction companies get excited about drones for is marketing videos. [00:12:21] Hey check out our site. Look how cool it is. It’s great. And so every time we show up a construction site will produce a 60 second quick site update marketing video for the client. As ne of the deliverables right. So it starts there. They’re getting more sophisticated. So we’ll do these marketing videos. We often will do produce a ortho-mosiac, a geotag ortho-mosiac and we’ll overlay the design file of the site. [00:12:50] If you overlay the 2d CAD design with the 2D ortho mosaic you can detect any kind of surveying errors that may have occurred. We’ve actually detected a couple where the building was off a foot or off three feet. [00:13:04] IAN: What happens when it’s off like that? [00:13:06] ANDREW: Oh well if they detect it soon. All they are going to do is poor little cement in the new area. And we detected it soon. If they don’t detect it soon it say half a million to five million a who knows how big of a problem it could be. And there was there was one tank that was fully built that we detected that was a five million dollar fix because they had to take the whole thing down and build it where it was supposed to be. [00:13:29] So yeah. So that’s that’s really what that those CAD overlays do is it pre-event rework. Another thing that construction sites really look like when the building is done we’ll do a thermal of the building and a thermal inspection of the building. And we can find out where the leaks are where the cracks are and the customers love seeing a look at my building it’s super close there’s no leaks there’s no anything and that’s part of that’s the thermal videos delivered as part of the site commissioning process and the construction company gives to the client. [00:14:04] IAN: And what kind of thermal sensor were you guys using for that? Mostly I mean do you guys use the DJI XT yet? [00:14:10] ANDREW: We’re using the DJI-XT. We’ve used the fleer T6 40 with an S 900 and 1000. [00:14:18] IAN: OK. Because it’s not you know directly compatible with Inspire, the M100 and 600 etc. [00:14:24] ANDREW: Exactly so. I know we’ve used those to the new I forget the name of it I think it’s the Fleer View 2.I think that’s what it’s called. Matt would know better. [00:14:34] IAN: Fleer View pro maybe or something like that Yeah lets give Matt a shout out. Matt Lyon right? [00:14:39] ANDREW: Matt knows everything. I know some things yes. [00:14:45] IAN: If we have any questions we’ll get in touch with them and have them chime in on the show. Cool so thermal inspections monitoring the site’s progress too I’m sure that’s a pretty big one. I mean what do you think. So the construction company first gets excited about marketing videos. What follows next. I mean are you guys kind of guiding them or are they you know at this point you know that everyone’s still figuring it out or are they just like well you know can you guys kind of check out this and see like they kind of experimenting? [00:15:13] ANDREW: Each site’s a little different and some guys are much more drone friendly than other guys. And so for example one site had a lot of earthwork. They really had a lot of work to do to flatten out the site to make it even. And a lot of dirt moving probably like two or three months of bulldozers moving back and forth. So they asked us to track the progress of the bulldozers. [00:15:36] And so we provide weekly contour lines and then we do a difference from week one to week two to week three to kind of show them ok. Each week you’re moving this many yards cubic yards of dirt. Right. And it was much it was really helpful when they knew how close they were to finishing. They were able to kind of plan their deliveries for their other material so that the moment they knew their pace they knew when they were done and actually that particular site got finished ahead of schedule and under budget. [00:16:03] IAN: And that’s huge right. That’s a huge thing if you can finish ahead of schedule. [00:16:06] ANDREW: Oh my gosh. Every day I don’t know it’s like half a million you know. So every single day it costs a lot on a site sites a faster the better. [00:16:13] IAN: What kind of deliverables do you guys give to? and then also kind of tie that in with like you know obviously you’re using you know it sounds like you know quite a bit of DJI hardware but you know what kind of software do you guys use as well. I mean it’s a bunch of different things right? There’s not a really a software company for drones yet that has like the full solution. [00:16:34] ANDREW: No. Now we will process it pix 4D, we’ll process with drone deploy, we’ll process with Sky catch we make videos with Adobe Creative Suite. You know I mean it’s really we you we do whatever we need to get that client happy right. Each particular software has its positives and negatives to it. [00:16:52] IAN: And as far as the deliverables go like you know we’re talking like a straight up the video we’re talking the raw imagery but you also mention like ortho mosaics probably elevation models maybe. [00:17:04] ANDREW: We’re dealing typically with the sort of the earth we’re contractors on site so we’ll deliver CAD files directly to them. .WG format, .DSF format. The deliverables usually, I’m trying to think of it a video, a couple of CAD files and an ortho. And that’s OK. You know here we go and sometimes the deliverable is literally an email with a number that says here’s how much dirt you moved, all they really want. [00:17:34] IAN: Yeah. And so drones are just a way easier kind of more I guess more budget conscious way and quicker way too. Is it safer to use drones and construction sites do you ever get that feedback from them like oh Joe would have had to climb up to the top of the scaffolding and risk getting hit on the head by a brick. [00:18:01] ANDREW: I get that but it’s not often that someone says hey can you check out that bolt or whatever. You know. I mean it sounds great. It’s happened a few times but that doesn’t happen that often. [00:18:13] IAN: So we hear that sometimes in mining. And actually the solar industry too because sometimes they’re on roofs and you know kind of saving the insurance costs. I guess you can never really stop a construction worker from going on a roof. I mean you’re never going to substitute that and you’re never really going to fully substitute someone going out on a site. The drones just kind of another tool. But I was just interested in kind of the feedback there from construction companies on safety. Yes there might be something something there. OK what about maybe broadcast. How are people using drones and broadcasts? How is Lift supplying broadcast deliverables for media companies? [00:18:56] ANDREW: Well broadcast deliverables are easy because they just want the footage and that’s it.And drones are great at giving footage. [00:19:03] IAN: Type in drone footage on YouTube and see what happens. [00:19:07] ANDREW: There’s a couple of videos. So what we deliver to them is what we say is 720 P or 10 ADP streaming imagery to the broadcast truck.Whatever they want to do with it afterwards you know they do. [00:19:23] IAN: Can you share the kind of hardware that you guys used in order to get that set up. [00:19:28] ANDREW: Absolutely. So we fly a lot of Inspires for broadcast but Inspire the light bridge 2 can only stream 720p. The sports guys always want 10 ADP. And so in that case we’ve started using them a Matrice 600. [00:19:45] IAN: Oh cool you have one. [00:19:46] ANDREW: Yes we don’t have one personally but some of our operators have them. So we’ve used that a few times but that’s still very new and it’s not you know it’s experimental phase right. But the deliverable for them really the hard part for them is. I mean they know drones they know the cool shots they can take you know sometimes we’ll do a zoom in on the host of the show whatever that’s like. You know speaking as he’s speaking will back up and make sure to give us perspective behind him. [00:20:16] So you can get a lot of unique shots but the big companies these broadcast guys and they want to make sure their things are compliant. They’re fighting the point they want to make sure that they still want to keep costs low so they don’t want to fly. There are two compliance officers from New York City in the backwoods of Oklahoma to look at tornado damage right. They want someone in Oklahoma to look at the tornado damage show it really helps because we can lower their costs. It’s great for our local operators. You know it’s just really a win win all the way around. [00:20:49] IAN: insurance we talked about insurance earlier today. What are you guys doing with insurance companies? I know that’s kind of a bit of a focus for you guys currently. 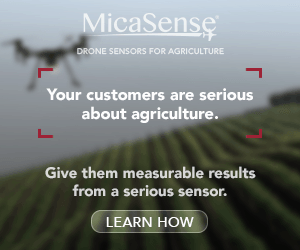 So what kind of work are insurance companies looking for drones to do? [00:21:06] ANDREW: Insurance companies are slow moving behemoths right but they are not so slow moving to not real… They realize that drones are going to change their claims adjusting process. [00:21:17] IAN: So having a person go out to a specific site and survey damage is that what it’s kind of? [00:21:23] ANDREW: Yes. So I guess a backup One-Step claims adjustment is I think the most exciting insurance thing but there really is four different aspects of insurance that will be affected by drones. There’s going to be a new Klan’s adjusting process went drones. There’s going to be a new catastrophe response is going to take a whole new angle with drones. You’re going to have underwriting you know what buildings they decide to insure will be different based upon drone imagery. And I think also drones thermal inspections they want to check out that route before they decide to say we’re going to protect it. And then the fourth thing is risk engineering. So you know for example if the insurance company can’t get their hands on these construction sites maybe they can lower their construction companies insurance premiums if they can tell the construction companies doing things more safely. [00:22:13] IAN: Wow. Yes. Starting at the very very beginning of that building. [00:22:17] ANDREW: Exactly. And lowering and basically tracking progress to say OK if you do if you follow these procedures that we now know because we have drone imagery will lower your insurance premium. Right. You have to pay less insurance because we know you’re safer. [00:22:34] IAN: That’s really interesting. [00:22:56] IAN: Civilian, not civilian residential and commercial both? [00:23:01] ANDREW: Residential and commercial, hail damage on roofs is really a big cost to all insurance companies. And they have these insurance companies have armies of thousands of claims adjusters that travel the country chasing hailstorms around the country writing three or four claims per day. There’s probably a better way and drones and we’re working with a lot of them to develop the research to figure out what does that better way look like. And I’d say that’s where our first foray into really the drone, excuse me the insurance space and drone technology affecting it. [00:23:35] IAN: Very cool. That’s awesome. OK. So what do you think about you know the drone industry in general like what’s your favorite thing about the drone industry? [00:23:49] ANDREW: That you’re in it. My favorite thing, it’s so new. There’s so many opportunities like you know you tell someone you’re in drones and then they immediately have three new ideas that you hadn’t thought of about how drones can affect it like everything it really opens people’s minds once they really realize that flying robots are everywhere. And like I mean like think of the possibilities so I’m the open end of it. The people are fun. No true experts really I mean everyone. You know what we’re all figuring this all in in a big group together so yeah. [00:24:27] IAN: That’s yeah that’s you know one of the purposes of this podcast is just to share the knowledge and you know the really cool fun people that have had some good nights out with talking about different concepts in the industry and the ways that these tools are being used. [00:24:44] ANDREW: I’ve had jails call me asking for surveillance. I’ve had rich guys asking me for girlfriend tracking drones. [00:24:52] IAN: How did that work out? [00:24:54] ANDREW: For a $100,000, I’ll get you a girlfriend tracking drone. Actually what you need is a therapist. I’ve had what was the I told you the graffiti drawn. Yeah just you know I do think that drones are going to change the logistics industry shipping and manufacturing and inventory tracking not just for stockpiles but just in general you know like any if you have a Hellman’s Mayonnaise plant or whatever you want to know how much mayonnaise you got there right. [00:25:26] ANDREW: Well that’s a shout out to my roommate who runs the Hellman’s Mayonnaise plant in south of Chicago. [00:25:29] IAN: Oh slick one, awesome. And so I’m going to change it I’m going to reverse the question a little bit. If you could change one thing about the drone industry what would it be? [00:25:43] ANDREW: I think outside of the industry people still have this negative connotation of drones. And I think inside of it everyone is like hey we’re just trying to help you, know we’re trying to help you recover, we’re trying to help you get your crops better, we’re trying to help keep your wind turbine inspectors on the ground. You know I don’t think there’s anyone in the drone industry that’s thinking OK how am I going to take over the world with this. You know there’s no evil intent with these things right. But we had that bad drone word that everyone had the negative connotation to that. I’d like to change that. Yeah I think we are a as an industry moving that direction I think people are accepting of drones more and more everyday. [00:26:20] IAN: Totally. I’ve embraced the word drone instead of UAV or UAS. or RPAS, whatever the heck you want to call it. I mean I’m just calling it a drone. The media has already embraced that and maybe it started out of course as the negative connotation with the military ones, but also even with you know drones are invading privacy and stuff. [00:26:40] ANDREW: Yes I would agree and let’s just stick to drone. I agree. Come on guys it’s too late to change. [00:26:46] IAN: Yeah. Let’s just use drone What is? Let me give some background, so I was stalking your Linkden . Let me give some backstory. I was stalking your linkedin profile earlier when I was waiting for you to roll up here. I saw that you were a member or you were….What does young entrepreneurs across across America?. [00:27:08] ANDREW: It’s the the the main company behind student painters. Student painters is a company that trains college students how to run painting businesses for the summertime. Young entrepreneurs across America. Right. So that’s what that’s what young entrepreneurs is. So my former life I was an entrepreneurship coach for college students. [00:27:31] ANDREW: Yes. And specifically a sales coach for those students because that’s really what you know entrepreneurship starts at the sales level. So that’s what that is. OK. So what Mat did together for five years and then we started this. Now we want to be you know we want to help guys run their own business. It was very similar. [00:27:46] IAN: Perfect. So there you go. So there’s a nice segway that I was hoping for. You threw me for a loop for a second about the painting focus but that also definitely applies. What would be your advice to some young entrepreneurs maybe some old entrepreneurs or some you know middle age you know 40 year old entrepreneurs who want to start a business in the drone industry? I mean any specific lessons that you’ve learned that you think would be useful to know or just general advice. [00:28:15] ANDREW: There’s so much advice. Yeah I don’t even know where to begin. I would say. [00:28:19] IAN: What about just starting out like OK what if you own a drone right now and you’re just kind of using it for fun. And what if you wanted to monetize that? [00:28:29] ANDREW: I would say, I mean you got it you got to get out there and sell your services right. So goal. Pick an industry that’s local a construction sites a great one real estate brokers or another great one. Those are probably the two easiest to get started with. I would say maybe if you know someone at your local news channel that would be great. And you know I mean a business start from sales so if you’ve got a drone you have a money making piece of equipment go and start talking to people. [00:29:02] Or better yet call me and we’ll get you hooked up. All right well well we get your compliance. You’ve got to get the right insurance. You’ve got to get the right policies and procedures in place need a preflight checklist if you’re really going to do this thing safely. But you know any of those options I think is where you get started. Real estate brokers is probably the first one that most guys go to. [00:29:25] IAN: Drone insurance. I’ve actually never had to go through the process of purchasing it myself or acquiring it. I mean is that pretty easy to find now is it kind of like a search around like what are you. What do you what do you look for when you’re looking for a drone insurance provider? 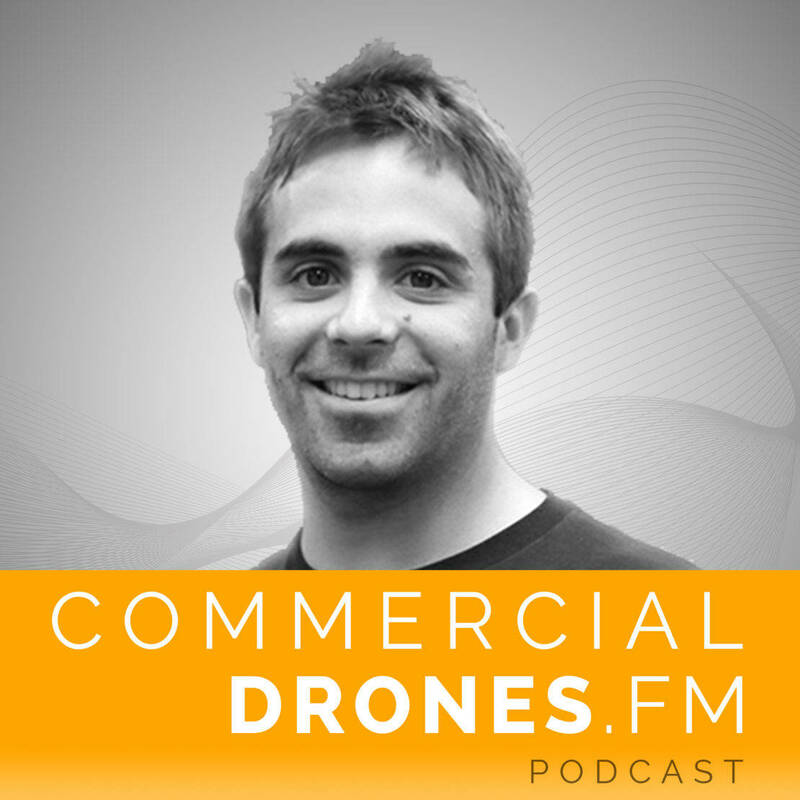 [00:29:42] ANDREW: If you’re actually starting your drone business you need general liability insurance. Every business needs no matter what. And then you specifically need aircraft liability insurance. [00:29:54] IAN: Is that the whole insurance? [00:29:55] ANDREW: Yes well it’s the same. If you don’t have both you won’t get a job unless the person that’s paying you doesn’t know right because you need to have the aircraft liability as well. A lot of companies are now offering aircraft liability. Some companies are wrapping aircraft in general together in one. But if you if you go on Google and type in drone insurance there’ll be plenty of options for you there. To transport risk management is their favorite. They give you great deals on combo general and Antron and aircraft liability. [00:30:32] IAN: OK cool I’ll go ahead and link them up on the show. It’s here. Well awesome so damn. Thank you so much everybody we had Andrew Denison on the show. He’s COO of lift technologies out of Chicago, Illinois. You can follow them on Twitter @liftuav. You guys need to change that to drone. [00:30:52] ANDREW: We’re working on it. There’s a whole new rebranding happening everyone Lift is going to change to uplift. [00:30:58] IAN: Uplift. There we go. Well right now it’s @liftUAV on Twitter. You can check out their Website at lift-tech.com. Any last words for the listeners here that you’ve been able to impart some knowledge to? [00:31:14] ANDREW: Thank you for listening. Thank you for having me Ian. Let’s all fly safe and reach out if you want to chat. I love talking to everyone in the drone industry. You know we’re all in a big pool together I think if you’re in it you see it’s going to be giant. There will be thousands and thousands of flights every day. Drone flights every day so you know let’s let’s help each other let’s keep it safe out there and hope to meet you soon. [00:31:41] IAN: Great I have to say that Andrew is definitely really cool to chat with so you should take him up on that. So thanks everybody. Ladies and gentlemen for listening you can follow the podcast on Twitter @dronespodcast and on Facebook at Facebook.com/dronespodcast. If you like the show if you want to get in touch please hit us up. You can subscribe on iTunes on Google play leave a review or rating. It helps a ton in the beginning to try to get us on that new and noteworthy section because the organic listeners is really cool for people to discover this new technology and share with us. [00:32:16] So without further ado we bid you farewell and we’ll go ahead and see on the flip side. Fly safe. Cheers.